Ars Technica, part of the same media property, promptly banned me without warning yesterday for… politely quoting an NOAA statement on global warming models from 2008. It’s more amusing than anything, but the left is clearly going off its rocker, and taking tech media with them. A sort of quasi-Lysenkoism has become the norm, with their own made-up facts that cannot be criticized, complete with lots of people, up to and including US Senators, suggesting dissent should be criminalized. I mean, come on, really. Have they actually read anything by Correia or Wright? They have some of the strongest minority characters in modern scifi! Ars is *terrified* of allowing anyone to question the global warming dogma, because they’ve invested so much of their prestige and credibility (which used to be very high) in its defense. Like Sauron, who poured much of his life-force into the One Ring and died when it died at Mount Doom, Ars knows that if the AGW doctrine ever becomes a laughingstock, so will they. Their fear is palpable. 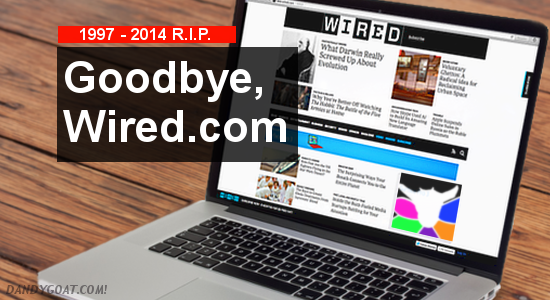 As for the Wired article, well, it’s nothing new–and five or six months behind the curve. Journalists seem to think that if they say something often enough, it will become true. Not so. The Puppies won this battle, and by slandering them in every media outlet that even knows what SF is, journalists of this persuasion made the Puppies famous and probably eternal. I bought the early Wired for a while, but the signal-to-noise ratio was insurmountable. It was like they were trying to hide their content under jerkoff excessive graphic design. I saw a copy recently at the dentist’s. It might be even worse now. “Once you see this dishonesty in reporting, you should never view such sources as reliable again.” … very well said – such an important lesson to learn. I propose the creation of a “propaganda quotient” to deal with biased media on comteporary political issues. It’s quite simple. You take the total number of articles that make claims about subject X and then divide by the number of those articles that provided evidence for those claims. The propaganda quotient for gamergate and sad puppies is rather large. Rather than have your excellent writing buried in the comments here, if you don’t mind I’ll post it along with some other relevant material shortly.